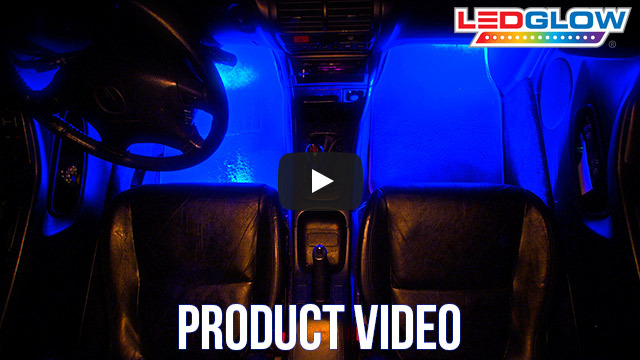 LEDGlow’s 4pc Blue LED Car Interior Lights features (4) 9" tubes with 18 ultra-bright LEDs per tube, multiple unique lighting effects, sound activation feature and an easy to use control box. 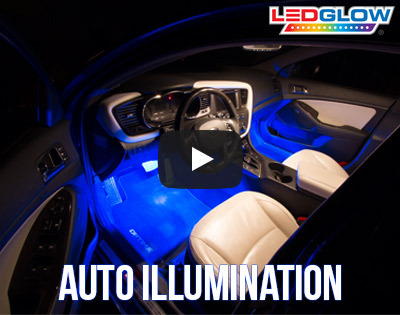 LEDGlow’s 4pc Blue Interior Lighting Kit adds a custom blue illumination to your vehicle's interior, and is jam packed with an assortment of features at a great price. Our LED interior light kits includes (4) 9" tubes with 18 ultra-bright, wide angle blue LEDs per tube giving you a total of 72 LEDs in each kit. The easy to use control box features multiple solid color modes, 3 strobing modes, 3 fading modes, 1 scan mode, as well as our extremely popular sound activation mode. The sound activation mode allows the LED interior lights to react to the beat of the music playing inside of your vehicle with a built in microphone, and the sound sensitivity is easily adjusted with a wheel that is located on the side of the control box. 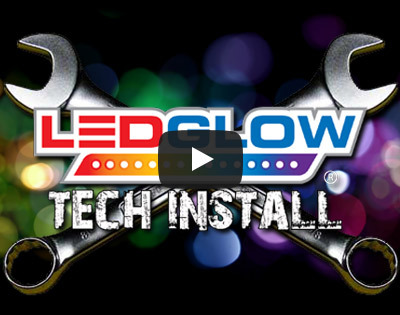 With the included zip ties, mounting screws, and 5' of power wire per tube, these LED interior lights can be mounted to virtually anywhere inside of your vehicle, giving you full customization over your lighting scheme. My second set of these. My first set I installed into my cobra kit car under the dash and in the foot wells. I wired it for the courtesy light. Perfect addition to the roadster. My second set is going under dash/footwell of the GT40 kit. Can't want. These are fantastic. 4 pcs.9 in.interior blue light kit. I bought this kit to install in my 2017 mustang.after I put the light kit in my car, it looked so good that I orders a 2nd kit and installed it also.. This is a great product. I’m highly satisfied with the result especially for the price point. I could’ve really used an extra foot of wire for the passenger and driver’s seat so as to be able to position the sensor in a more accessible location. I believe the leads are 5 feet. There’s probably at least an excess of one foot on the under-steering-wheel line and under-glove-box line so the company could make a change with little cost to correct this. 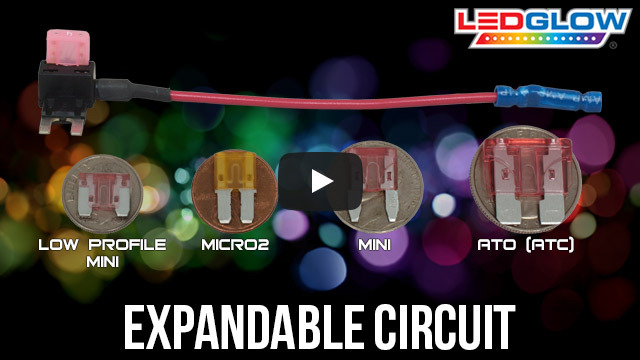 I wired a 2017 Honda Civic EX-T and a 2013 Scion Tc—both compact cars, using the add-a-fuse option and experienced this slight shortness in length for both cars. I’m still highly satisfied with the end result. As a Uber driver, i wanted to "spice" up the ride experience for my pax. These blue lights match my interior dash and backlighting thruout my vehicle. Have had numerous complements from riders and even a couple guys from my full time job want to get some lights for their vehicle. Easy install, i placed them under the back of the front seats and under the front of the back seats, to illuminate the back seat floorwell. I change the settings frequently, and pax seem to comment on the slow fade and one of the strobe patterns the most. Thanks again! I think I'm gonna have to try out the multi color ones next.